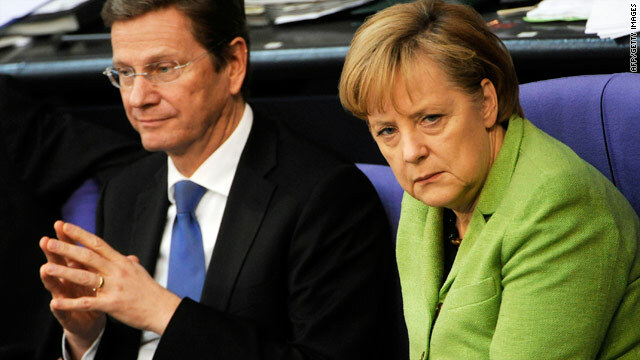 German Chancellor Angela Merkel with Finance Minister Guido Westerwelle in the German parliament on Friday. (CNN) -- A task force of European Union finance ministers was meeting in Brussels Friday to discuss proposed tougher measures intended to prevent another regional crisis on the scale of Greece's economic meltdown. The meeting comes as Germany's parliament voted in favor of a near-trillion dollar eurozone rescue package after German Chancellor Angela Merkel warned that the future of the common currency was in danger. "If the euro fails, then Europe too will fail. But if we manage to avert the danger, the euro and Europe will emerge stronger than before," Merkel told lawmakers earlier this week to justify the €750 billion rescue package. Both houses of the German parliament approved the package on Friday although its passage through the lower house was backed by just 319 out of 622 lawmakers with 195 abstaining and 73 voting against a measure seen by some as a bailout for other countries at Germany's expense. On Thursday French President Nicolas Sarkozy denied reports of a rift between Paris and Berlin after Germany's unilateral ban imposed earlier this week on the naked short selling of eurozone sovereign debt instruments. Q&A: What is 'naked short-selling'? Following talks with Merkel and new British Prime Minister David Cameron in Paris, Sarkozy said the eurozone's two biggest economies were doing everything possible to work in harmony. "I told Angela Merkel ... that we cannot have disagreements between Germany and France about subjects of this importance," Sarkozy said. "We do everything so that we don't have disagreements together. That's why we talk together." Fears over Europe's economic stability have triggered markets selloffs in recent days. New York's Dow Jones industrial average (INDU) fell 376 points on Thursday in its biggest one-day point loss since February 10, 2009. Thursday's point loss was equivalent to 3.6%, the biggest one-day percentage loss since March 5 of 2009. New York markets were mostly flat on Friday with the Dow marginally down. Asian markets followed Wall Street's lead earlier Friday with Tokyo's Nikkei down almost 250 points, or 2.45 percent, at 9,785. European stocks, already down heavily for the week, sank lower in afternoon trading with London's FTSE 100 falling below 5,000 points, before recovering a little, down 0.6 percent at 5,041. Friday's meeting in Brussels has been called by EU President Herman Van Rompuy with the goal of delivering "economic governance" reform across the 27-state economic and political bloc by October. "The recent crises and the risk for the stability of the euro area have underlined the interdependence among EU economies and exposed the vulnerability of Member States, in particular inside the euro area," the European Commission said in a memo on Thursday. "Fiscal discipline, competitiveness gaps and private sector imbalances are also a matter for the EU as a whole. 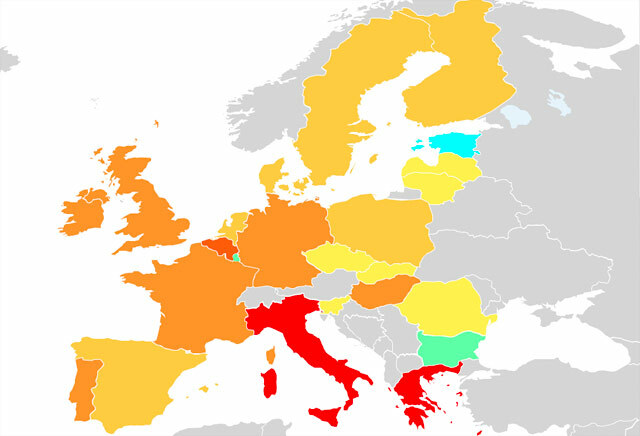 This is why there is a need for economic policy coordination across the EU."